Hollow out avocados by cutting in half and remove seed. Use spoon to remove avocado flesh. Slice bottom of avocado husk so it doesn't roll on plate. Mix all ingredients w avocado and place into each avocado husk. 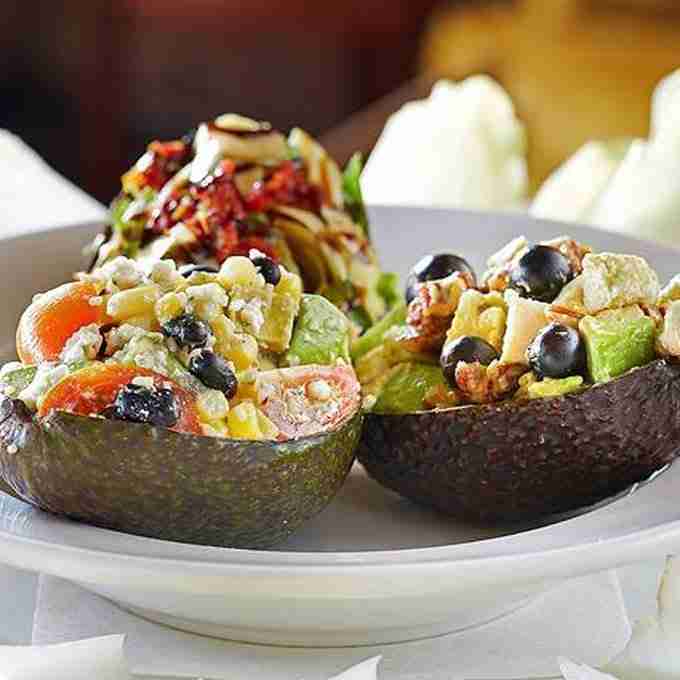 Garnish endive leaves or sliced cucumbers around stuffed avocados.